Talk to a Coaching Specialist! Have what it takes to have a successful business, but just can't seem to get the momentum you need? Sport strong people skills, but when it comes time to get paperwork and projects done, do you come up short? Held back by a lack of systems in your business - systems for generating consistent leads, taking care of your past clients and converting the leads in your pipeline? Feel like you really could have it all if someone else could just handle the details? "After more than two decades of experience in the real estate industry I've learned a thing or two about the challenges that real estate agents face. I know that every agent is unique and faces their own special set of challenges, their own strengths and their own individual business style. Every agent has the potential for greatness and The Lones Group has been helping real estate professionals achieve greatness for over a decade. We can transform you." Custom Mastery Plan which lays out your unique plan for the projects and coaching you will receive over your year with us. Foundational custom, reusable templates: house flyer, just listed card, special feature card, listing letters, letterhead, business card, notecard, return address label, article, market watch, trifold brochure, and email signature graphic. Additional custom systems that you need for your business. Examples include listing presentation systems, open house materials, online profiles, buyer materials, post-closing systems, database follow-up materials and more. On-demand (during business hours) support from Denise and her team. For example, if you are in the middle of a transaction and need help convincing your buyers or sellers to do what is in their best interest, if you need help creating an Excel file, if you need help with your email or domain name, or if you need help using your materials, we are here to help. Additional scheduled strategy sessions with Denise and her team. Examples include listing presentation help, conversion strategy, open house lead generation, developing your custom lead generation plan, developing a strong post-closing system, personal self-discipline, and more. Coaching and accountability to help you get your database follow-up, conversion, and personal self-discipline systems in order. Additional videos and resources to help you master your materials. Custom copywriting for your buyer package, trifold, brochure, online biography and more. All systems are created in your choice of Microsoft Publisher or Adobe InDesign. 24-month subscription to Club Zebra, our online real estate education portal. 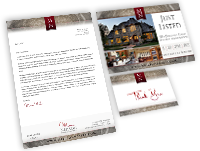 Includes content for mailing to your clients. 24-months of Mastery Forums: enrich your business skills in live webinars with Denise Lones and her team. "I just want to share something with you all because you are the reason for these compliments. I have a new listing as of last Friday and one of the brokers who visited my listing called me to talk about my branding, flyers, special features notes on the wall, business card - the marketing all together. He told me that it was spectacular, very professional, classy and that it says a lot about me. He added, "you are a star!" Needless to say, I was speechless over the phone, didn't know what to say - never happened before. He hasn't even seen my website yet. In any case - I want to thank you all because without you guys, this wouldn't have happened. I feel blessed to have you in my corner for all my new marketing materials - and trust me, I will use it all!!!" "My brokerage sends out a survey to clients after their transaction closes. There is a place for comments/testimonials. My office received a survey back today from a client with the following comment, "I ran into one of the neighbors who said her marketing was better than any other they'd seen!" I'm pretty sure I know which neighbors they are. They loved my neighborhood board at the open house and the listing letter series. They then called me after the house sold with a question and in the conversation they told me they liked my marketing. Thanks Lones Group! I really appreciate all of you and everything you've done to help me with my business." "We feel you guys are top notch and we do not utilize all the services and resources available to us through your group. However, regardless of that, we feel that your direction and assistance will put us in a better place on the other end of this for sure. It should position us with a branding, presence and processes that we did not have prior to enlisting your services. Thank you for all you do." "It is an easy sell because it truly works. I have 6 new listings coming out in the next 2-6 weeks... if anyone needs proof that Mastery works! I have never had 6 listings at the same time before, ever!" 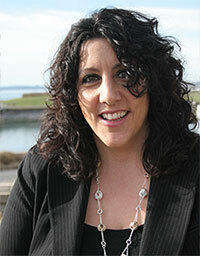 "I just used my new marketing materials on a listing in my favorite area in Bothell. It looks amazing my seller called to say they were so excited the marketing is striking and so unique it stands out! Now I have another one coming up in the same community! My printer so loved the postcards that were sent out!" "In today's extremely competitive environment, it is imperative to advance yourself through education and action. The Lones Group has been overwhelmingly the best thing I have ever done for my business. Their systematic approach to broker advancement is unique because every broker is unique. They helped me analyze my personality and applied a customized blueprint that allowed me to be myself. I didn't have to fit in another coaching program's box. I was my own box and I realized there was nothing wrong with me. In fact, they continue to help me chip away at the 'Michaelangelo' inside to help me uncover that truly great service provider. As a result, my clients are becoming raving fans and I'm beginning to enjoy the financial freedom and lifestyle balance that has evaded me in the past. Do yourself a huge favor. Hire them. Do what they say. You'll get the results you are after." Finance your coaching program through The Lones Group at $999/month for 18 months. $999 deposit due upon signing. The remaining 17 monthly payments begin 14 days after your Mastery Intake call and will continue on whatever day that falls on until billing term is complete. Example: If you sign a contract March 1st then you are billed $999 on March 1st. Based on availability, let's say your intake call is booked for April 10th, then the second payment is due on April 24th. Remaining payments are due on the 24th of each month. Pay by credit card and receive a 2% discount. $8,811.18 due now and $8,811.18 due in 30 days or 14 days after Mastery Intake Call, whichever comes later. Pay by check and receive a 4% discount. $8,631.36 due now and $8,631.36 due in 30 days or 14 days after Mastery Intake Call, whichever comes later. First half due upon signing. Remaining half is due 14 days after Mastery Intake call. Example: If you sign a contract on March 1st, half of your balance is due on March 1st. Based on availability, let's say your Intake Call is booked for April 10th, then the second payment is due April 24th. We would be delighted to answer any questions that you have about our Mastery real estate services, regardless if its about branding your real estate business, more about our personalized coaching experience or how Denise might address your particular needs. We only offer 30 coaching enrollments each year. This way we can guarantee to our clients that they are receiving the highest possible level of service and attention to detail. Whether you are interested or simply curious, we invite you to give us a call or send us an email.